Dining at Walt Disney World is expensive! 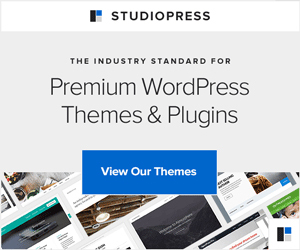 This post covers the basics and includes links to websites (both Disney-affiliated and third party sites) to go deeper. Use the section headers to find the information you need to plan your dream vacation! Princess dining at Akershus Royal Banquet Hall in “Norway” at Epcot’s World Showcase. We like it because of the buffet style service — teen boys can get their fill. Also, it’s a bit less hectic place to meet princesses than Cinderella’s Royal Table in the Magic Kingdom. Winnie the Pooh and friends join guests at the Crystal Palace in the Magic Kingdom. Offering breakfast and lunch buffets, the restaurant is centrally located and provides a quiet break from the crowds. When our kids were younger (8 and under), we enjoyed the great buffet offered here. TIP: Schedule a late lunch and make this buffet your main meal out of the midday heat. Our favorite, The Garden Grill Restaurant, located in the Land Pavilion at Epcot, offers a friendly meet and greet with Chip, Dale and friends. The restaurant rotates as guests dine, offering ever changing views to entertain the kids. They provide all-you-can-eat family style service including kid favorites: macaroni and cheese, chicken fingers and pudding. Dinner Shows and Experiences, such as the Hoop-Dee-Doo Musical Revue and Mickey’s Backyard BBQ offer entertainment, Disney style (fun and family friendly) while providing unique dining menus. Dinner shows that coincide with fireworks displays are available, offering guests the best views while dining. For the sophisticated palate, Signature Dining options like the California Grill offer upscale menus in unique settings. These restaurants provide excellent service to adults, though kids are always welcome. Casual Dining Options offer sit-down meals with a smaller price tag. Our absolute favorite — we go every trip — is The Plaza Restaurant, located on Main Street in the Magic Kingdom. Offering turn-of-the-20th-century ambience, the restaurant serves humongous sandwiches and salads and the best ice cream sundaes in the parks. This restaurant is also the “Mayor’s” favorite. You never know when he might show up! At Hollywood Studios (listed on the Disney site as Special and Unique Dining), enjoy the 50’s Prime Time Cafe. Servers here make sure kids mind their manners, so mom gets a break! Quick Service Dining is available at all the parks and hotels. Food here includes everything from ice cream sandwiches to hot dogs, burgers, chicken and salads. Most offer healthy options like fresh fruit as well. Our favorite is Aloha Isle in Adventureland at the Magic Kingdom, offering the Dole Whip, a soft serve ice cream float with pineapple and/or orange. My mouth waters just writing about this sweet concoction, the perfect snack on a sunny afternoon. Beyond offering restaurant choices to suit every desire, Walt Disney World also offers four dining plans to guests who stay on property. Quick Service Dining Plan: This plan offers each guest two quick serve meals and one snack item per day, plus a refillable drink mug to use at the hotel resorts. This plan offers up to a 10% savings over regular prices. The Dole Whip is considered a snack item for this plan! Deluxe Dining Plan: This plan, offering up to a 35% savings over purchasing by meal, offers three meals and two snacks per day, plus a refillable drink mug to use at the hotel resorts. It includes sit down meals and signature dining experiences. Note that the signature dining experiences count as two meals from the plan, not one. For those planning to enjoy many character meals, this plan might offer a significant savings. We have found that without character dining, it’s virtually impossible to eat all the meals provided, so consider how much time you wish to allocate to dining before purchasing this plan. 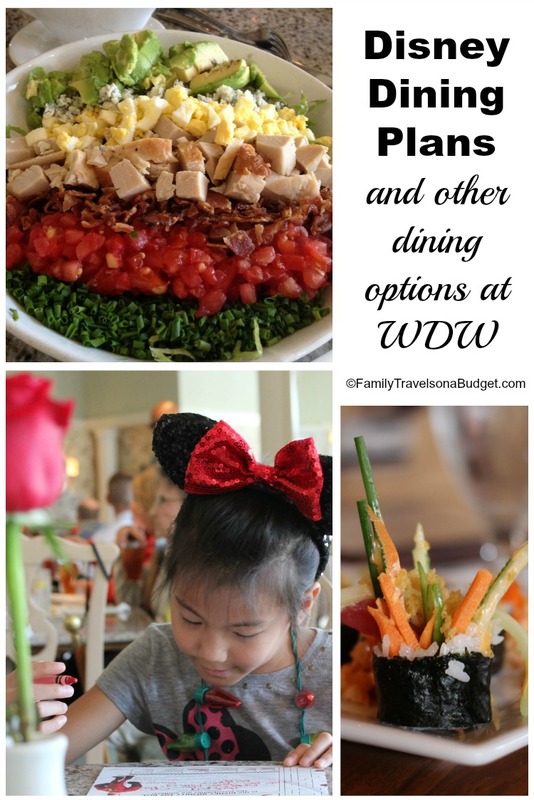 Disney Premium and Platinum Dining Plans. These plans offer three meals plus two snacks and refillable beverage mugs like the Deluxe Dining Plan. Additionally, the offer guest experiences, backstage tours, recreation rentals and more. For the Disney traveler who wants to do the “unusual” these plans might be worthwhile. For most families, they are unnecessary. Guests are allowed to bring food items–such as snacks or foods that do not require heating–into any Walt Disney World Resort hotel. If you have food items that need to be refrigerated, please ask the front desk at your hotel to have a refrigerator placed in your room. Refrigerator may require an additional charge. Guests are allowed to bring food items–such as snacks or foods that do not require heating–into any Walt Disney World Theme Park. Inform a Security Cast Member of any food items when you enter the Theme Park. Are the kids picky eaters? Pack your own lunch bag and supplement with one or two food stops throughout the day. No dining plan needed. Do you love “amusement park food”? The quick dining plan will give you your fill and save you a few dollars. Are you an amusement park ride junkie? Choose the quick dining plan. Most sit down restaurants and buffets take an hour or more. Do you prefer to relax throughout the day? Either go to your room to eat during the park’s most crowded afternoon hours or choose the Deluxe Dining Plan which provides an opportunity to sit and relax in air conditioned comfort away from the hustle and bustle of the crowds. Want to meet all (or most) the Disney characters? Choose the Deluxe Dining Plan. Book a character meal every day or every other day (depending on length of stay) and enjoy the personal interaction not available in park queues for characters. Make sure you know which characters appear at each meal scheduled. Some appear at more than one place! Planning to spend time at the resort pools and recreation areas? The Quick Dining and Deluxe Dining options offer options throughout Disney World. Select the best plan for you. Whatever you choose, as long as you keep your “dream vacation” goals and your family’s personal likes in mind, you will select the best dining options for you. Through the years, we have planned dining options for various reasons. With younger kids, the opportunity to meet characters, eat and relax in air conditioned bliss rejuvenated our days. Now that our sons are teens, it’s all about the rides and junk food. A special note to those staying off property: All the dining options listed here can be scheduled through the Disney Dining reservation webpage or by contacting Disney Dining at 407-WDW-DINE or 407-939-3463. For those with allergies or special dietary needs, Disney Dining does everything it can to ensure a safe dining experience. Please read the detailed policy and be sure to inform them about special dietary needs when making a dining reservation. Specific questions and concerns can be addressed by emailing Disney Dining at Special.Diets@DisneyWorld.com. Comments and Reviews of the Disney Dining Plan: AllEars.net. This post contains a lot of information. First time Disney travelers, don’t expect to digest it all (pun intended :D) at once. Start simple: How do you want to spend your time at WDW? Then build from there. Seasoned Disney travelers, what’s your favorite Disney restaurant? Why? Have a money saving dining tip? Please share! My Happy Place? Walt Disney World, of Course! We are trying to decide if we should get a dining plan. If we do we would get the “Magic Your Way Package Plus Dining”. Karen (or anyone else) do you have any personal thoughts on if a dining plan was worth it or not worth it? There are three dining plans — the quick meal plan, the regular dining plan and the deluxe dining plan. We have used the quick meal plan and the regular dining plan. Each time, we had trouble eating all the snacks. We are not big dessert eaters or soda drinkers, so for our family, the dining plans were “not worth it” as we ate and drank stuff we don’t really eat otherwise. While we saved money with the plan — we would actually have spent much less without the plans. First decide if you’ll eat desserts, snacks and soda all day. If yes, the plan does usually save money. If no, skip it. Second, if traveling during a discount room time (non-peak periods), compare the price of hotel savings to the price of included meals. Usually, you’ll save more with the discounted room than you would with the included dining plan. I love 1900 Park Fare for Breakfast. It has the Mad Hatter and Alice (which are two of my favorite characters). You can’t meet the Mad Hatter anywhere else and it was totally worth it for us! What a great post. Lots of great suggestions and tips. The best money saving tip we have, is to split adult meals at the table service/ sit down restaurants. When at Be Our Guest, my husband and I each order our own salad and dessert, but split an entree. Yum! We love the food at disney. Great tips! We just returned from Disney adventure park in california, Ariel's Grotto is the place to eat there! Ha, Ha! I had no idea that there was so much to eating at Disney Parks. But I especially like that they are so accommodating if you want to bring your own food- that is awesome! My daughter's favorite “princess” is Ariel. She'd love it! 50's Prime Time Cafe, Shannon. LOVE IT! Great place to celebrate a birthday, too. They make the whole place sing to the birthday child (or adult) and do other things appropriately mom-like. I've never eaten at Liberty Tree. Which characters are there? As I explained in my last comment we rarely eat on property but our favorite character meal is Liberty Tree in Magic Kingdom and the best food period is at Hollywood Studios at the diner where you have to have good manners. What's that called again? Love all the tips! It looks like Disney has gotten quite sophisticated in recent years. I think I'd pick the Platinum so I could take advantage of the character dinners and some of the upscale options! It is so good to read that there are healthy options at amusement parks.